Yummy lemon rice! 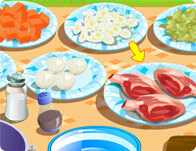 learn how to prepare and serve this delicious and traditional feast! Deliciously sticky, spicy and sweet. The traditional cinnamon bun is a treat to behold with friends, family, or just on your own. Dress it up proper with icing, candy sprinkles, and fun drinks on the side. Dive into some yum yum chocolate mousse goodness! It's a one of a kind creamy smooth and sweet dessert that'll tickle all your taste buds with everything from cookies to strawberries to three kinds of chocolate! Get ready to serve some hungry students at your fast paced and nutritious School cafeteria. 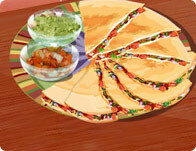 Take and make orders before serving a long line of students to keep everyone happy and healthy. 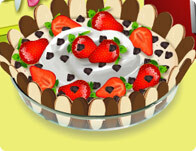 Join Sarah to learn how to whip up this yummy sweet dessert treat! 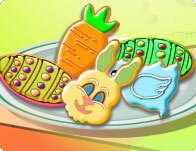 Crunchy and covered in colorful festive icing these snacks are just in time for the Easter holiday! Chocolate chip, double chocolate chip and yes. Even triple chocolate cookies are awaiting you here, now! 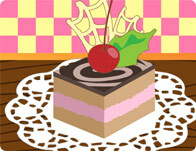 Learn to whip up these delicious sweet treats and have a lot of fun doing it! Creamy and tangy, hearty and nutritious. 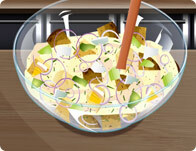 Potato salad is a traditional and nutritious side dish that everybody loves. 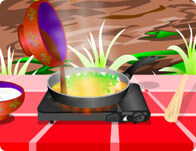 Learn how to whip it up step by step in this cooking lesson adventure. 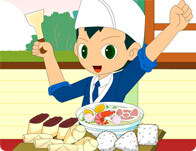 Spring rolls, sushi, rice and all your favorite Japanese inspired foods are here! 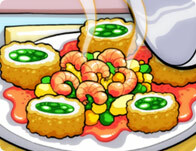 Help prepare and serve your hungry customer friends to keep them happy in this extreme cooking and service spectacular. 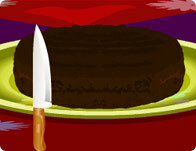 Learn how to bake up a yummy chocolate cake without eggs! It's a delicious and sweet treat for those looking for a moist, dense chocolatey taste! 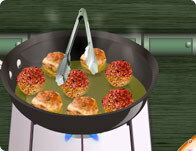 Learn to cook this spicy traditional dish one step at a time! 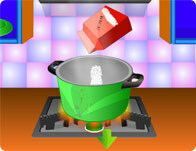 Chop everything up, mix it, simmer and serve it toy our friends! 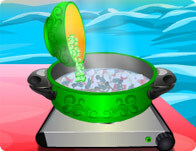 Stew up a traditional Irish styled stew in his fun cooking games.